This morning we added a new Google map on the Map Page. This Map lets you travel through Pangman and shows photos of the homes and businesses. Click here to see our new Map. Below are some of the highlights from the April 2010 school newsletter. There will be a new High School Math curriculum next year. The Grade 10s will be taking two new match courses, replacing the current Math A10 and B10. In Grade 10 the two classes they will be taking are Foundations of Math and Pre-Calculus 10 followed by Work Place and Apprenticeship 10. The Senior, Junior and Rookie badminton teams have begun practicing for the season. Miss Quigley is coaching the Junior and Rookie and Mr. Fowler is coaching the Senior Team. The badminton teams will travel to Weyburn and have a home match up with Ogema after the Easter break. Graduation is coming up on May 7th at the school. The grand march will be held at 9:00 p.m. in the gym. There are 3 grads this year, Tye Froh, Noel Muckalt and Chantel Colbow. Scrapbooking Club – April 19th – 3:10 to 5:00 p.m.
Grades 1 to 8 will be attending a drama production in Ogema, leaving on the bus at 11:30 a.m. April 15th. Town students should bring lunch. The Deep South Personal Care Home Ladies Auxiliary will host a Mother’s Day Tea at the home on Friday, May 7th, 2010 from 2:00 to 4:00 p.m. There will be a Cake Walk and Mother’s Day Gift Basket Raffle. There will be a Freewill Offering. Everyone is welcome. Come and bring your family. . The Auxiliary functions are for the on-going benefit of the residents of the Care Home. 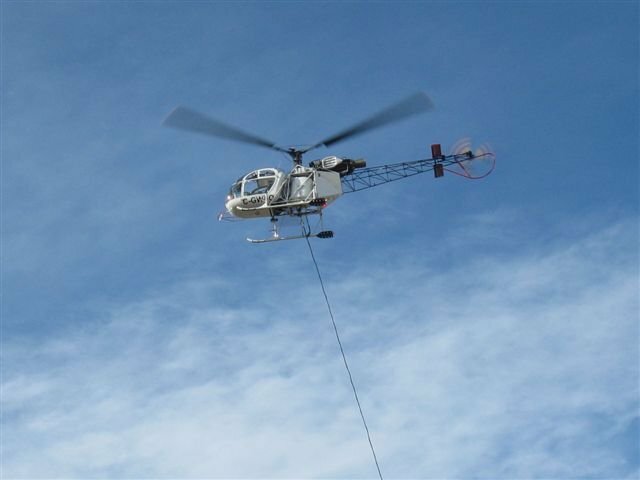 On Tuesday, March 30th around 2:30 p.m. a helicopter from Hi-Wood Helicopters, towing an arial survey and geological instrument, landed in Pangman to refuel. The helicopter, on contract with Aeroquest, was on route from Killarney, MB to Nelson, BC. where more geological surveys will be completed. The annual meeting of the Recreation Board was held on Saturday, March 27th, 2010 at the Community Center. If you would like to learn more about the Recreation Board, they meet the 2nd Tuesday of every month. The next meeting of the Recreation Board is on Tuesday, April 13, 2010 at 7:30 p.m. at the Community Center. On Friday, March 26th, the Pangman and Area Economic Develpment Board held their first annual meeting. The Mission Statement for the Pangman and Area Economic Development Board is: To promote and support projects which will enhance our community and build for the future. It is also time to renew your membership in the Pangman and Area Economic Development Board. The cost of a membership is $10.00 per year. If you would like to learn more about the Pangman and Area Economic Development Board, please join us our meetings. The Board meets the last Friday of every month. The next meeting will be April 30, 2010 at Kathy’s Place, Breakfast at 7:30, meeting at 8:00 a.m. The Economic Development Board would also like to thank all those who have helped out the past 3 months with the Saturday morning breakfasts. Many hands make light work–and lots of fun!!!!! Clear Creek Organics & Dad’s Organic Foods Partnership! Clear Creek Organics has partnered with Dad’s Organic Foods to open an organic and health food store in Regina. Clear Creek Organics is proud to be a partner in the meat and deli section. We found their announcement about this on their website. Dad’s Organic Foods opened its doors at their Regina store, 8-425 Victoria Ave., on January 25, 2010 and their grand opening is being held Thursday, March 25th to Saturday, March 27th. The Clear Creek Organics Sales Office is here in Pangman. For more information or to order products you can write to Gene and Pat Kessler, Clear Creek Organics Sales Office, Box 177, Pangman, SK, S0C 2C0 or call them at (306) 442-4625. Congratulations Clear Creek Organics on your new venture. Ladies Night Out will be held on Thursday, April 15th, 6:30 p.m. at the Pangman School. All proceeds from this event will be donated to the New Kitchen being built at the School (Charity Farms). This year’s guest speaker is Joanne James. Tickets are $15.00 each and can be purchased at the Post Office. You can also purchase tickets for items that will be raffled at the supper. The Annual United Church Spring Banquet will be held on Saturday, April 10, 2010 at the United Church. Cocktails at 5 p.m. Supper at 6 p.m. Silent Auction to follow. Tickets – $20.00 each. There are only 80 advance tickets available. Be sure to get your tickets early. Menu: Roast Beef and Roast Pork and all the trimmings. If you would like to donate items for the Silent Auction please call Debbie Kessler, in the evenings, at 442-4201. A receipt will be issued for the value that the item sells for. For more information, please contact Debbie Kessler, in the evening at 442-4201. 4 Annual Meetings Being Held This Week! This week, March 22nd to March 27th there are four (4) groups having their Annual Meetings. Tuesday, March 23rd at 8:00 p.m. is the 14th Annual Meeting of the Deep South Personal Care Home at the Ogema Pioneer Museum at 8:00 p.m.
Thursday, March 25th at 7:00 p.m. is The Pangman Co-op Annual meeting at the Community Centre. Friday, March 26th is the Annual Meeting of the Economic Development Board at Kathy’s Place – 7:30 a.m. for breakfast and meeting from 8:00 to 9:15 a.m.
Saturday, March 27th is The Recreation Board annual meeting at the community center following the Pancake Breakfast (10:00 a.m.). Come out for the Pancake breakfast and then stay for the meeting. If you want to get more involved in the community, you may want to attend one or more of these Annual Meetings.